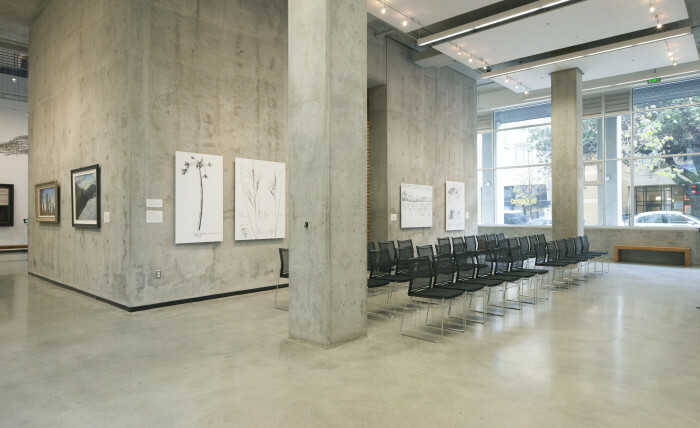 Room Size: Gallery 52’ x 22’, 1220 sq. ft., Lobby 52’ x 25’, 1300 sq. ft. 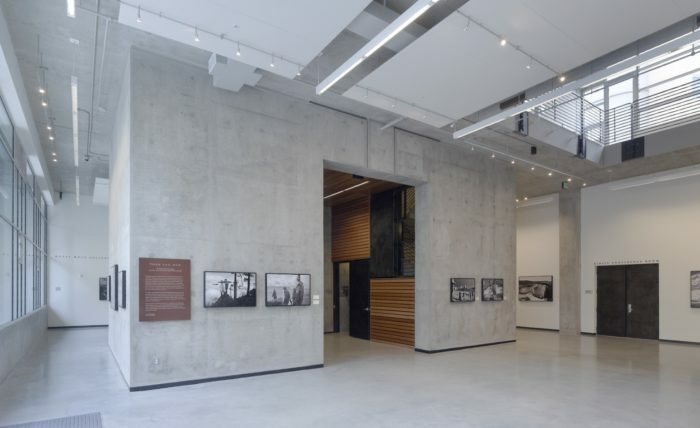 Featuring environmental art exhibitions with works by local and national artists, our Hazel Wolf Gallery and Atrium Lobby is a perfect space for your next reception. 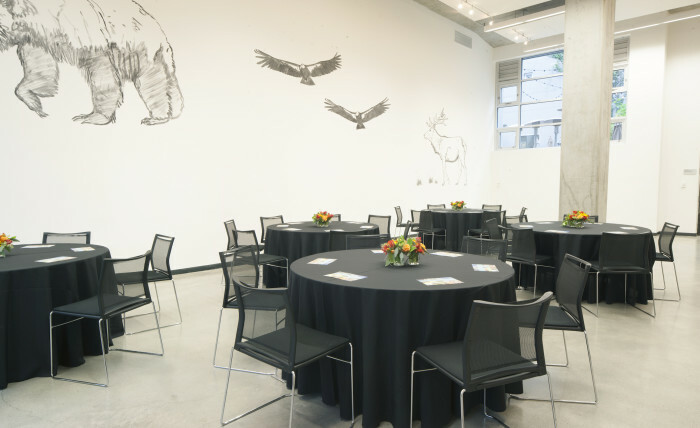 This flexible space can be set up for receptions and galas, or small presentations. For complete details, visit our Rates page. 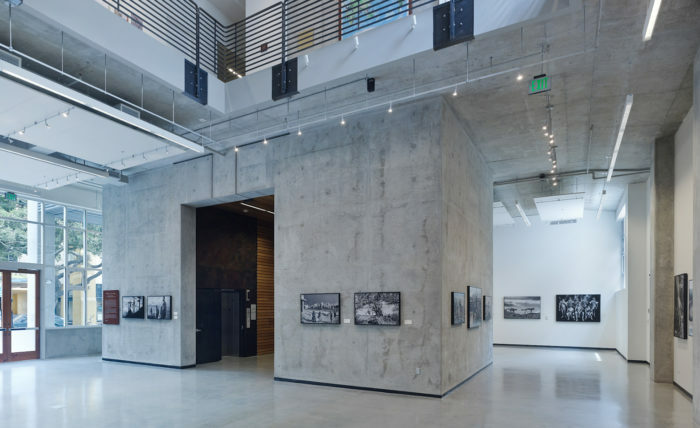 Click here to inquire about availability of the Hazel Wolf Gallery, or email events@browercenter.org.